Pretty Little Liars Promo - "I'm a Good Girl, I Am"
Is she guilty? A verdict will be reached and announced on Pretty Little Liars Season 5 Episode 24, as teased here. 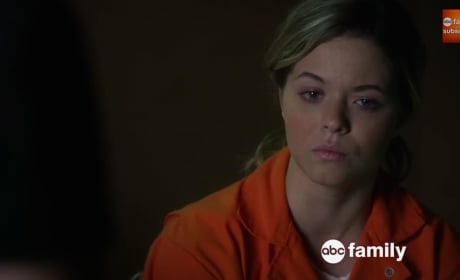 Pretty Little Liars Promo - "To Plea or Not to Plea"
What can fans expect from Pretty Little Liars Season 5 Episode 22, "To Plea or Not to Plea?" Check out the official network promo here. 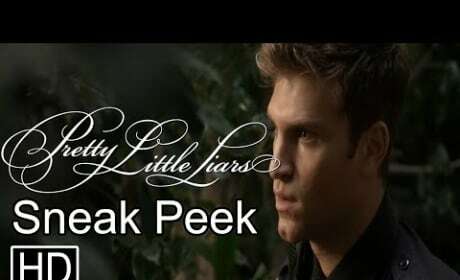 Pretty Little Liars Promo - "Bloody Hell"
Are you ready for a HUGE reveal? Check out the official ABC Family promo here for "Bloody Hell." 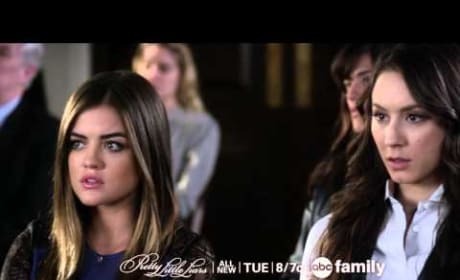 Pretty Little Liars Promo - "Pretty Isn't the Point"
What can fans expect from Pretty Little Liars Season 5 Episode 20, "Pretty Isn't the Point?" Check out the official teaser here. New danger? New romance? New suspicion? 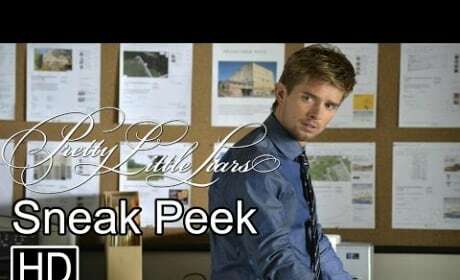 Check out the official ABC Family promo for Pretty Little Liars Season 5 Episode 18. Alison places a phone call from jail in this scene from Pretty Little Liars. What does she have to say? Watch and find out. Pretty Little Liars Clip - What is This?!? 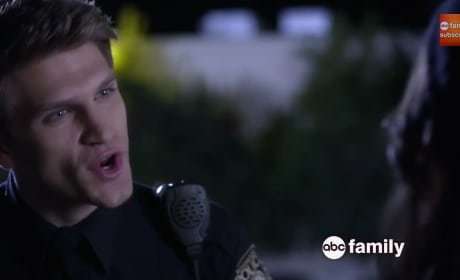 Toby comes across a key piece of information in this sneak peek at the Pretty Little Liars episode “Fresh Meat.” Check it out now! Aria chats with Emily in this clip from Pretty Little Liars. The latter has a request for the former. Watch to see what it is. As Jason looks through old family photos, Alison arrives on Pretty Little Liars. Is there a future for Emily and Paige? Check out this clip from the first Pretty Little Liars episode of 2015. Pretty Little Liars Clip: Are You A? 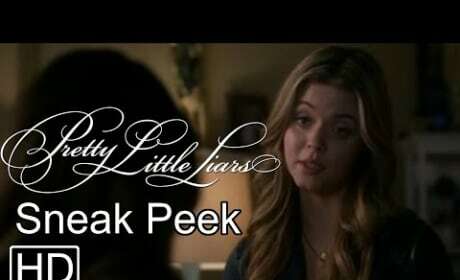 Ali and Emily are featured in this Pretty Little Liars clip. It is from the summer 2014 "fatal" finale of the ABC Family drama. Ruin one of us, ruin all of us. Permalink: Ruin one of us, ruin all of us. Ashley: What's the point of forgiveness if you don't really know what happened. Ted: It's a clean slate. Permalink: It's a clean slate.